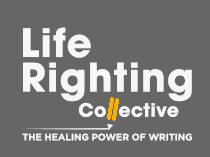 The Life Righting Collective is membership organisation as well as an NPO. We run courses for anyone who wants to learn to write about their experiences. The approach promotes self-discovery, self-recovery and more effective communication. We raise funds to make courses available to those in need of sponsorship and to provide platforms for these life stories to be published. Sharing experiences with a wide readership can help reduce discrimination and promote mutual understanding. We offer a variety of life writing courses in a range of formats – mornings over five days, weekends in and out of Cape Town – as well as poetry courses, also in Cape Town and other centres. Read work from course participants. We hope these pieces will inspire you to consider writing your own stories and also buying our anthology, This is How It Is, and other books by our members. If you want to keep in touch with what the LRC is doing, please subscribe to our newsletter, which we send out regularly. We will also mail you about book launches (including our own! ), festivals and other events. Please support the LRC in our quest to offer sponsored life-writing courses to those who long to write but cannot afford the fees. You would also be contributing to helping us publish our anthologies of writing by course participants. Doing the course opened me to emotions I didn't realise I have and made me look at some parts of my life with a different eye. I’ve made a promise to myself not to stop writing from now on! Dawn is a wise and gently insistent guide whose vast personal experience illuminates the shared space. It was a deeply healing experience. Thank you." This was an extraordinarily rewarding week. Dawn has a remarkable talent for identifying the conversations we all need to have with ourselves." Attending the memoir course was unexpectedly empowering. It took me down into the very roots of my life experience in a safe and supportive nurturing environment."